It’s a first for Akshay Kumar, one of Bollywood’s most prolific actors. ‘Kesari’, a 19th century battle epic releasing in the UAE on March 21, is his career’s first war film. And that’s no mean feat for an actor who rolls out at least three films a year. 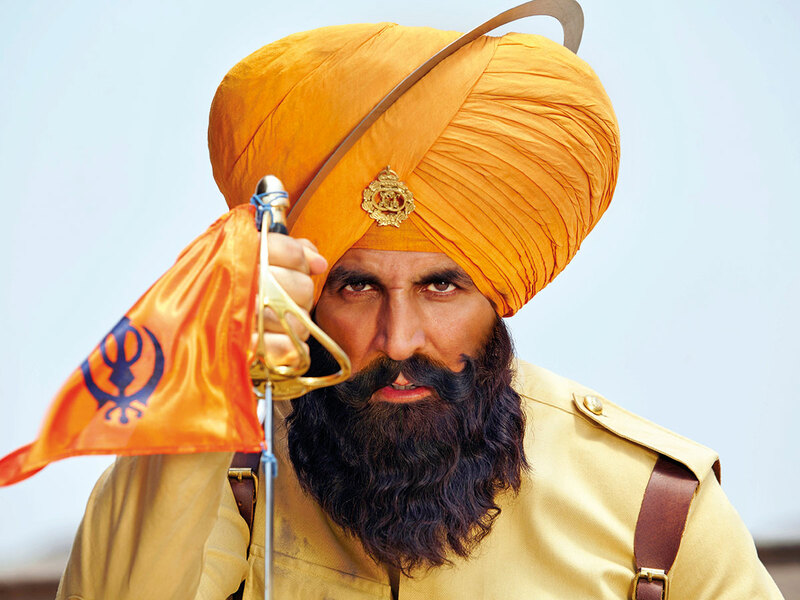 “‘Kesari’ is a tale of the bravest battle ever fought in [Indian] history between 21 Sikh Soldiers and 10,000 invaders in 18th century India,” said Kumar over an email interview. “It’s the first war drama of my career and I am honoured and humbled to have had the opportunity to portray Havaldar Ishar Singh, an important historical figure,” he added. Directed by Anup Singh, ‘Kesari’ chronicles the Battle Of Saragarhi where a small group of Sikhs take on a powerful troop of invaders. The brave Sikhs are grossly outnumbered, but they soldier on and their patriotic spirit remains undiminished. Kumar, who has become the go-to actor in Bollywood for socially-charged films, turns patriot in this latest project, also starring Parineeti Chopra as his partner. “It’s a tiny role but I don’t care about that… Sometimes you do films because you want to be a part of a good film. ‘Kesari’ was that film... I used to always joke with Karan [Johar] sir that even if I am a tree in a film, I want in,” said Chopra in a separate interview over the phone. Chopra plays the principal soldier’s wife. Q: Tell us about ‘Kesari’ and your role? A: I was truly amazed that ‘Kesari’ was based on a true story about the Battle of Saragarhi. It was a battle that was truly forgotten, if not erased from our history. ‘Kesari’ is in honour of every martyr that has ever lived. It’s the first war drama of my career and I was honoured and humbled to have had the opportunity to portray Havaldar Ishar Singh, an important figure shaping the history of India. It’s a matter of sheer pride to play such an incredible Sikh in my lifetime. Q: What was your intent behind acting in a patriotic-fuelled film like ‘Kesari’ and what do you want the audience to take away from it? The power of cinema is monumental. After I made ‘Pad Man’, we were able to start an open discussion on menstrual health to tackle the taboos around it. When I made ‘Airlift’, nobody knew that India was part of the world’s greatest airlift in history. With ‘Kesari’, it’s the same. No one had heard about the bravest battle ever fought in history which took place in India. I feel people know more about ‘300’ [Hollywood hit starring Gerald Butler], which has 300 people versus 10,000, and that was fictitious. But with ‘Kesari’, no one knew it was 21 versus 10,000 invaders, and it’s a true story. I believe the Battle of Saragarhi is such a historic story that not only the youth of India, but the youth across the world should know about the story, and what our forefathers have endured to solidify our future. I genuinely feel the audience will connect with every scene and character. They will be filled with emotions and left asking questions. 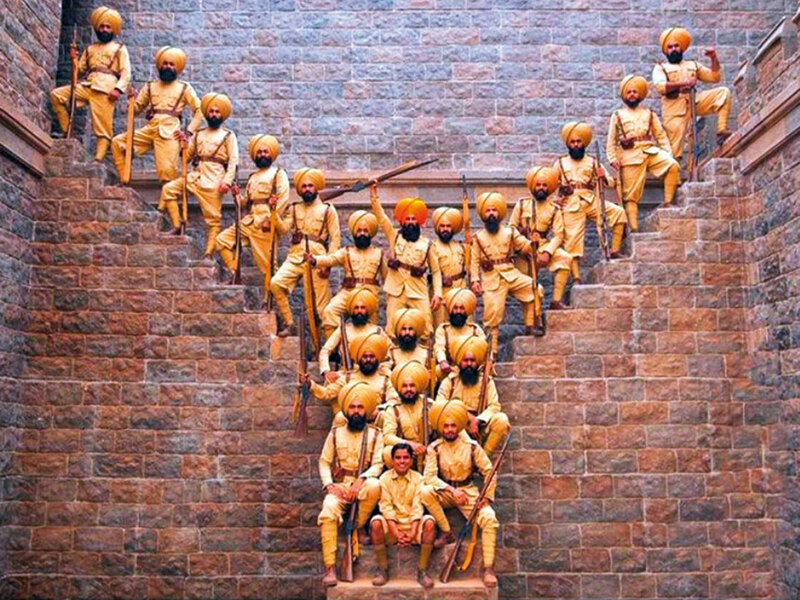 We hope we make those 21 brave Sikh soldiers proud with ‘Kesari’. It’s in their honour and we salute them. I wish for people to take their children and watch ‘Kesari’ because this is their history and this is what India is made of. These 21 people had the guts, power and strength to fight, when they had a chance to run away. Q: What was the process of transforming from Akshay Kumar to Havildar Ishar Singh? Can you walk us through the look tests and how you managed to decide on the full-blown beard? Also, are you keeping that lush beard as a keepsake? A: We tried our best to keep all the looks of the film — ranging from sets to costume to equipment — relevant to that era. The film is well researched and because it is a true story we had references for the looks of the characters. Once I wore the pagdi [turban] I was in character and you begin in to feel responsible. Almost instantly, your back naturally becomes straighter. It makes sense scientifically because the pagdi is so heavy and tightly wrapped around your head it makes you keep your head up straight up. It instantly makes you aware of your surroundings. I don’t know how it happened, but it [pagdi] just made me feel so powerful. It was a great, great honour to have carried the pagdi with such pride. And you’re right, that beard was lush! But I’m not sure if I can carry it off in my daily life, as much as I would love to. Q: What was Anurag Singh’s brief to you as you played your character? A: He just said to me, “Always remember that this is a true story of 21 Sardars who know that death will be their end, but they will not turn their backs.” He had done so much homework on the script and story. He had researched places, read the right books and documents to ensure that the film remained true to reality. He was the captain of this ship and I just followed his lead. Q: I don’t remember the 1897 battle where 21 Sikhs took on thousands of invaders (perhaps, I wasn’t paying attention during my history classes); but were you aware of this episode and if yes, what was your understanding of it back then? A: I wasn’t fully aware of the story or its exact details, which I think is the case with many people today. Perhaps, that’s why some call it the forgotten battle. Sadly it’s not something which is taught in our curriculum. Q: When you are acting in a patriotic film, how do you ensure that it doesn’t turn jingoistic? A: There is nothing extreme about ‘Kesari’. This film is not just about the valiance of the British Indian Sikh regiment, but is in honour of every martyr in the world. Every Sikh in this film stands for important values regardless of the context — battles or wars — in which they demonstrated those qualities. They stood for resilience, brother/sisterhood, strength, pride and selflessness. These are human emotions which can be re-lived and experienced in several situations in life. When you experience ‘Kesari’, you will realise that this is not just a story of a battle or patriotism, but a tale of a bunch of courageous people who put the lives of others before themselves. It’s a story of real people with real emotions. Q: Do you think filmmakers should now move away from the narrative of the British Empire, the India-Pakistan partition in post-Independent India? What do you have to say to all those who feel it is getting repetitive? A: I don’t think we can forget nor should we forget how these events were important parts of our history. We should discuss this and not refrain from speaking openly about this, airing our views etc. In fact it’s important to retain awareness to educate our children, not just in this generation but our future generations too. In terms of repetition, there have been a number of projects that have used partition as a backdrop with its own interpretations or merely as a sub-plot. Q: In a hypothetical situation, if you were the commander of a small battalion, how would you lead it? A: Ha! I couldn’t possibly lead it, it is a tough job. It is not easy at all because you are making life changing decisions not just for yourself, but for your fellow commandos too. I have so much respect for all the martyrs who fight for our country, who have died for India, not just India but all martyrs over the world. ‘Kesari’ is dedicated to them. Q: March has been an eventful month for you with ‘Kesari’ and your digital debut with ‘The End’. Can you tell us more about it? A: We recently did a launch for my new show ‘The End’ with Amazon Prime, which I am extremely excited about. It is my first web series and I can’t say much about the show, but I truly can’t wait to start rolling for this action-adventure series. The digital world excited me, and I am delighted to make my streaming debut with this show. On this medium, I want to create something extraordinary and connect with youth. Q: What did your son Aarav — who pushed you towards your digital debut — think about the trailer of ‘Kesari’? A: He loved it; since it’s action packed, it’s something he’s looking forward to. In fact, my whole family liked the trailer. They loved my look and the whole concept of the film. Q: Who are the world leaders who have inspired and shaped your existence? A: Not so much our world leaders, but I am highly inspired by my father. Whatever discipline I have about how to look at life and to be calm have been learnt from my father. His outlook is inbuilt. ‘Kesari’ releases in the UAE on March 21. “During the romantic songs we had to shoot, Parineeti and I kept having to retake the scenes as we would do something ridiculous that was not part of the scene and the whole set would just laugh. So that kept the film light and was a comic relief,” Kumar on an anecdote while filming ‘Kesari’.